Once your real estate website is up and running, you need a way to attract new visitors and keep your website at the top of Miami-Dade real estate search engine results. Simply updating your listing information is not enough; you need new and intriguing content that will continually generate fresh interest in your website. Starting and maintaining a real estate blog is a rewarding way to accomplish this, as it gives you an easy way to increase site visits while informing your visitors. Posting to your real estate blog provides the perfect forum for imparting information about your listings, the services you offer, and local high points, such as announcements about new listings, before and after photos of some of the beautiful homes you have staged, featured communities, and neighborhood points of interest. 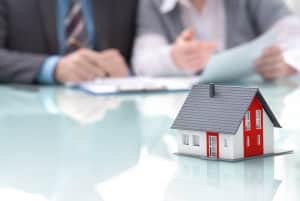 Realizing the benefits of blogging with your real estate website is easy when For Sale Marketing designs your real estate website. Since research has shown blogging to be one of the more effective Miami-Dade real estate marketing tools, we design all our real estate websites with WordPress, a highly successful blogging platform that makes the entire process simple, intuitive, and easy to learn. Our WordPress-designed real estate websites are ideal for even new bloggers to use, with user-friendly features that will quickly make any agent seem like a real estate internet marketing expert. Adding posts to your blog is easy with the WordPress editor. No knowledge of HTML, coding, or website design is needed; this accessible online editor offers a clean, user-friendly interface familiar to anyone who has ever used Microsoft Word document or a standard email program. Effortlessly manage your blog from your tablet, smartphone, or other online device. You can keep your blogging current from virtually anywhere you have a connection to the internet: the comfort of your living room, your favorite coffee shop, even your doctor’s waiting room! One of the reasons For Sale Marketing uses WordPress for our real estate sites is its seamlessly integrated blog platform. Users can easily manage posts and comments from readers, updating them effortlessly through the highly accessible interface. By the time your site goes live, we have already done all the work setting up your blog – you can just launch your website, log in, and begin blogging right away! WordPress is easily the most versatile real estate blog software on the market, with thousands of plugins and widgets that let your website grow and develop to keep pace with your changing company. You never have to worry about outgrowing your real estate website; our designers can adapt your website to accommodate your needs, incorporating new plugins that will expand its capabilities as you desire. At For Sale Marketing, we never lose sight of the ultimate goal of your real estate blog: raising your search engine rating and bringing in more leads. Search engines absolutely love WordPress websites and blogs! WordPress creates clean coded pages that can be quickly and accurately optimized with custom meta tags for peak performance in search engine results. If you are looking for a way to transform your real estate agency into the area’s top producer, For Sale Marketing can create the real estate blogging website that will help you do it! Talk to one of our interactive marketing experts for advice on real estate website design, Miami-Dade real estate blogging tips, and assistance in developing an effective online interactive marketing plan. Contact For Sale Marketing today at 954-635-5168 for more information on how adding blogging to your real estate website can help your business grow!